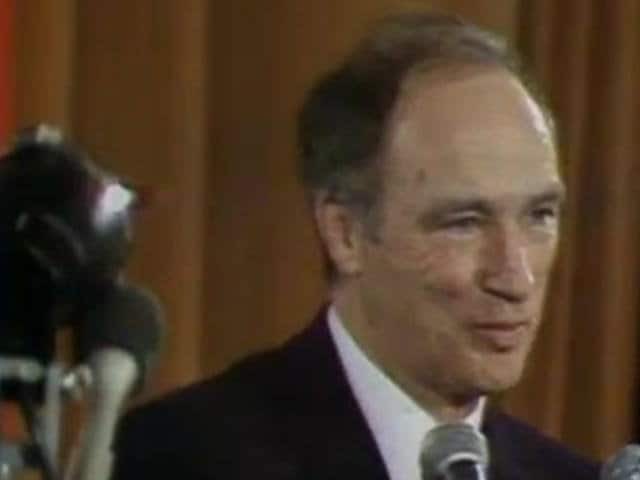 After calling an election just three weeks after he became Liberal leader, Prime Minister Pierre Trudeau has promised to stem the rise of Quebec separatism and turn Canada into a unified, bilingual nation. On the eve of the election, Trudeau ignores threats of separatist violence and attends Montreal's St-Jean-Baptiste parade. When other officials flee as rioters hurl rocks and bottles, Trudeau refuses to back down. This French CBC Television clip shows Trudeau smiling as the projectiles fly. • Trudeau took a two-week vacation after he won the Liberal leadership on April 6 and inherited Prime Minister Lester B. Pearson's minority government. When the House of Commons went back into session on April 23, Trudeau made a secret visit to Governor General Roland Michener to ask that Parliament be dissolved and that an election be called for June 25. Source: Trudeau's Memoirs, 1993. • Because the press had been staking out Trudeau's front door, he left his office by a hidden staircase and entered Rideau Hall through a gate that was usually closed. As he recalled in Memoirs, "I couldn't have the press announcing such important news before I did." • Trudeau fought in the election against Progressive Conservative leader Robert Stanfield, and New Democrat Tommy Douglas. • Trudeau was invited to Montreal's annual St-Jean-Baptiste Day parade on June 24, 1968, the night before the election. • The feast day for St. John the Baptist, June 24, had become a nationalist holiday for French Canadians. • A 1969 New Yorker article on Trudeau said that, "separatist leaders publicly said that it was a shame that Trudeau, a traitor to the French Canadian cause, should be a guest at the parade. Trudeau, who had meant to decline the invitation, was now challenged and felt he had to accept...."
• That day, Montreal Mayor Jean Drapeau asked Trudeau not to show up because of fear of possible separatist demonstrations. 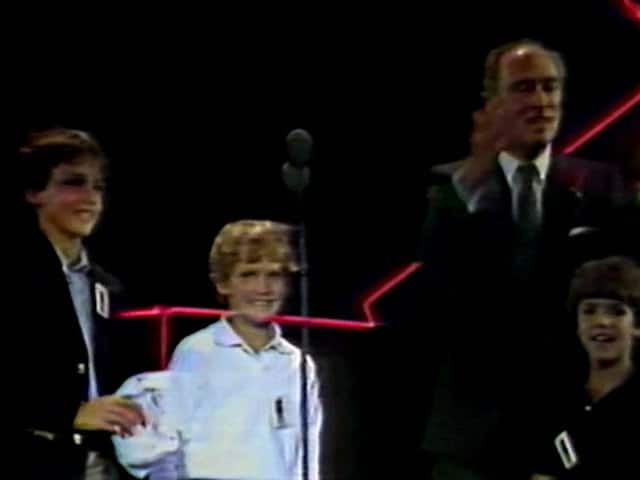 As Trudeau recalled in Memoirs, he told Drapeau, "I'm certainly not going to admit, by backing down, that the prime minister of Canada can't watch the festival of St-Jean in his own home town! I've been watching this parade since I was six years old." • The New Yorker wrote, "A Trudeau supporter who was standing in front of the grandstand later reported that a Separatist said to him, 'My God, now in addition to everything else you're going to say he's got courage.'" • The Globe and Mail wrote that a CBC Television French language reporter made a 90-second report on the riots at the parade. In his report he said he had seen police lose control and attack people who had done nothing, the Globe said. Viewers called in to protest his coverage and the reporter was banned from covering that night's election results, as he had been scheduled to do. In response, 75 news staff refused to work that night so there was no French coverage of the election. • The Liberals won a majority — 155 of 264 seats — in the federal election the next day. The Progressive Conservatives won 72, the New Democrats won 22 and the Ralliement créditiste won 14. The Tories had campaigned on the idea that Canada was one country housing two separate nations - French Canadians and English-speaking Canadians. After PC candidates publicly complained, the party switched to ads for "One country, one Canada." • Authorities cancelled Montreal's annual St-Jean-Baptiste parade in 1970. It was brought back in 1990.